Enjoy some of my favorite party ideas from great blog friends around the web! Come Together Kids shared this great Bubble Refill Station. What a wonderful idea! This could keep kids going for hours on a lazy afternoon or at a park birthday party. I know I tried it myself at our Easter party and it was a HUGE hit. Laura shared directions on how to make bubble solution too! Awesome. 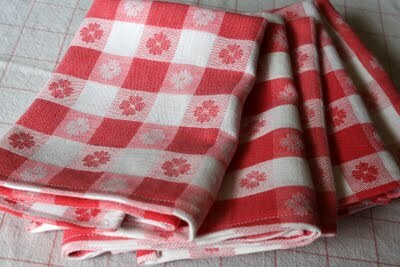 A Balancing Act shared a great, detailed tutorial on making your own Fabric Napkins. I tried to figure out how to make some of these a few weeks ago when I couldn't find napkins to go with my party colors and theme. I would rather have cloth napkins when possible since they are so nicer looking, but it's hard to find some in my small town. I'm thrilled to have this great tutorial now, I'm sure I'll be using it alot! Chrissy's Crafts shared how to make this beautiful Napkin ring from a recycled soda can. Isn't it beautiful? 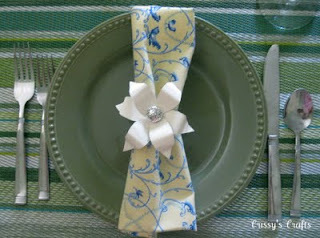 These would be so nice at a Mother's Day luncheon or wedding. They look really easy to make and I'm really considering them for an upcoming party. So pretty! Sassy Sanctuary shared this amazing Magnetic Banner. I LOVE, LOVE, LOVE this idea. She used magnetic primer to turn chipboard into this changeable pennant banner. She can change the words to read anything that will fit on this cute banner. What a fun idea that can be changed with the seasons! Did I mention that I LOVE it? 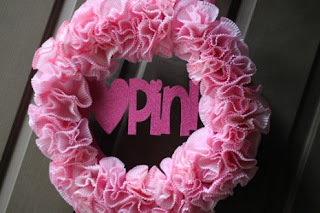 Catch My Party shared the tutorial on how to make a Cupcake Liner Wreath. This is such a pretty wreath. There are so many options with some of the pretty looking cupcake liners out there. You could use this for any color combination or theme. It would make a beautiful decoration at a princess, ballerina, or little girl's party. Feel free to grab a button for your blog or website if you'd like! So many clever ideas! I love sharing creativity. Thanks for the shout out. Have a lovely week. Yeah!!! Thanks for the feature! I'm so glad you liked my banner. Thanks so much! Grabbing a button!